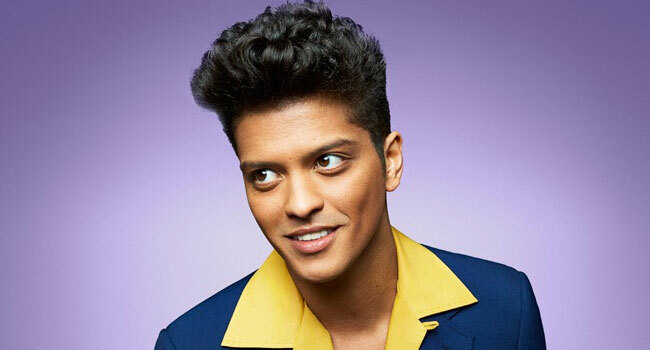 Bruno Mars announces that a limited number of additional tickets will be released for his previously sold out trio of 24k Magic World Tour homecoming performances at Aloha Stadium in Honolulu, HI, following completion of the shows’ production. The historic shows, produced by Live Nation, make Mars the first artist to book three back-to-back performances at the venue, surpassing previous two-night stands at Aloha Stadium by The Rolling Stones and Michael Jackson. Eleven-time Grammy nominee Charlie Wilson has also been announced as special guest for the November 8th stadium show. The hitmaking singer, songwriter and producer extraordinaire was the former lead vocalist of the pioneering R&B/funk group Gap Band, before going solo in 2000. Wilson has achieved ten number one hits, a New York Times best-selling memoir and multiple sold-out, coast-to-coast arena tours. The Green & Common Kings will join Mars on the November 10th and 11th dates. Additional tickets for all three shows will go on sale beginning October 19th at 10 am HST at Ticketmaster.com. Sales for each Hawaii date are zip code restricted to Hawaii residents for the first 48 hours in order to allow residents of Mars’ hometown community to purchase tickets first. The multiple-Grammy Award winner’s highly lauded international 24K Magic World Tour has traveled the globe since 2017 and will close with these Hawaii homecoming shows. The tour will have made over 135 stops across North America, Latin America, Europe, and the U.K once wrapped. The massively successful outing sold out stadiums and arenas around the world, and was credited with selling one million tickets in a single day. The 24K Magic World Tour celebrates Mars’ multiple Grammy Award-winning, 2x RIAA platinum-certified album, 24K Magic, released in November 2016 via Atlantic Records. The 24K Magic World Tour has been Mars’ first full-length tour since his hugely successful Moonshine Jungle World Tour in 2013, an international blockbuster that sold two million tickets worldwide across 155 sold-out dates.